Sometimes wearable technology can focus more on the 'technology'side, and not enough on the 'wearable' side.Just look at theMicrosoft Band. So it's refreshing to see the Altruis collection from research and design company Vinaya. 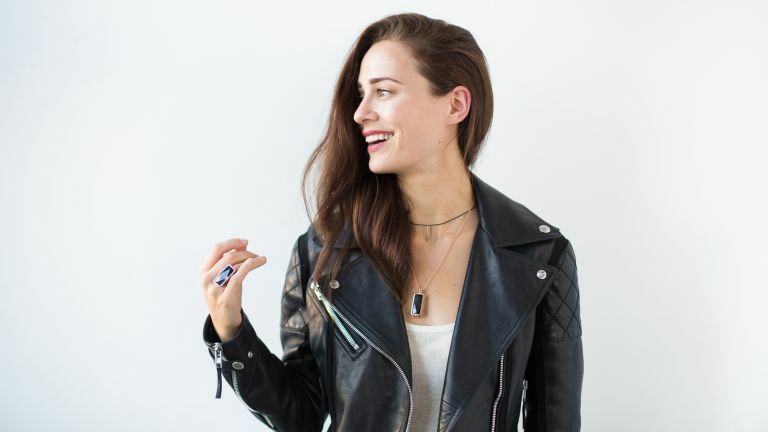 The jewellery connects to your iPhone via an app, and will vibrate when you receive an 'important message', helping you tune out the unimportant notifications, such as a WhatsApp group message, or Candy Crush game invitation (for example). The concept is to make managing your digital life more simple, giving you the ability to tune out 'notification noise'. It connects to your smartphone using Bluetooth Low Energy, and the app allows you to specify (by keyword or person) which emails, texts or calls filter through to the Altruis stone. The stone itself is made of premium Zirconia Ceramic, inside the stone is all of the techy parts,including a rechargeable battery, which lasts around a month. The jewellery is designed in-house, and is made from sterling silver but comes in a range of shades from silver, to rose and yellow gold. The collection includes a ring, bracelet, or necklace, with prices ranging from £195 to £275. This looks like a perfect Christmas present to us, so get you order in soon!